A never-seen-before piece by Constant Dullaart was just discovered. It has been dated as “before the turn of the century,” placing it within the most pivotal decade for net.art and, potentially, positioning it as Dullaart’s earliest new-media work on record. The 1996 piece, entitled ‘Terms of Service – AltaVista,’ pre-dates Google Inc. by 2 years and Dullaart’s 2012 ‘Terms of Service’ by 16 years. The popularized ‘Terms of Service 2012’ features the Google homepage speaking updated Terms of Service. The recent discovery, ‘Terms of Service – AltaVista’ operates in nearly the exact manner–which begs the question: Are these two works the bookends of an unreleased 16 year-long ‘Terms of Service’ series by Dullaart? 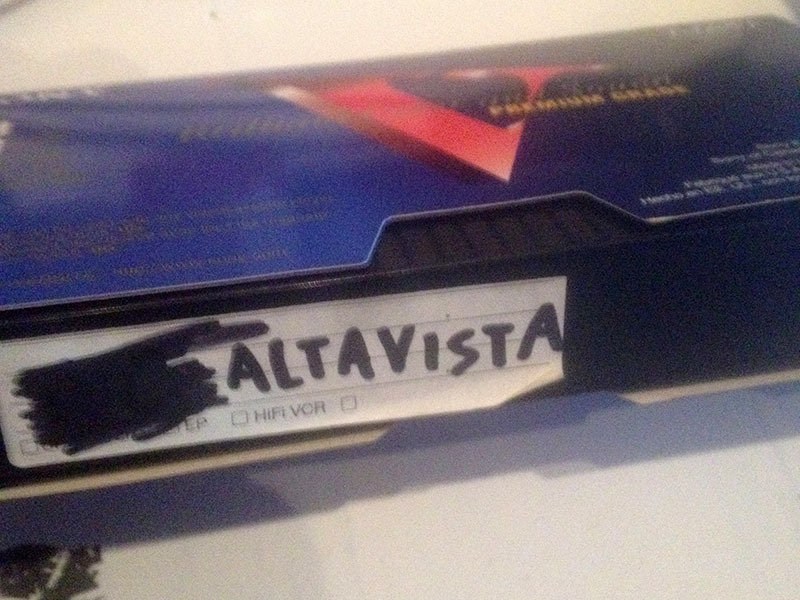 In its day, AltaVista was a leading search engine, as Google is now. Will media archeologists begin unearthing Dullaart TOSs from Yahoo!, Lycos, HotBot, Ask Jeeves and/or JSTOR? This remarkable discovery highlights the evolution of the ‘net–from an open sandbox in the 1990’s to the contemporary gated corporate playground we are now familiar with. It’s sure to catch the eye of new-media art collectors world-wide as it goes up for sale in New York City on December 14, 2013.